A large enough stairwell, reasonable window access or a walkout to accommodate the selected drywall sheet length for a basement delivery. 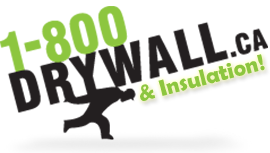 If they cannot be delivered to the basement, 1-800 Drywall will leave the drywall sheets on the driveway or at a location as instructed by the purchaser. If the product needs to be returned a credit will be provided for the product, less a $150 pick up fee will apply. Roofing materials can not be loaded onto a roof with a "Roof Pitch" steeper than 8/12 (8"rise over 12"). For BOOM ACCESS, into a home or onto a roof, there must be a clear "unobstructed" access to the building (clear of overhead power lines and trees).